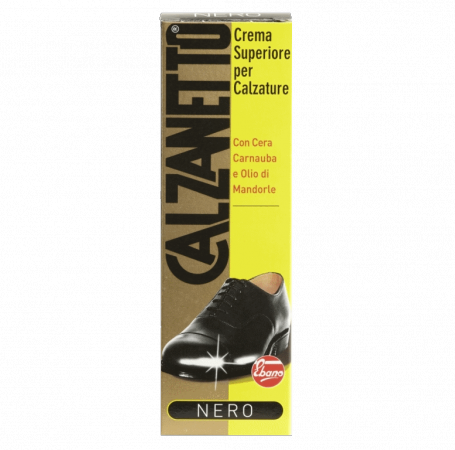 It's a cream for shoes with basic formula of 1926 that retains most of the ingredients. good power recolored and discreet waterproof Power. Used Regularly and with appropriateness Provides at the skin One Health status, protection and conservation More than satisfactory. This product is also available in dark brown, neutral, brown and bleu. Now the treated surface should be left to rest for a few minutes so as to "metabolize" the nourishment.